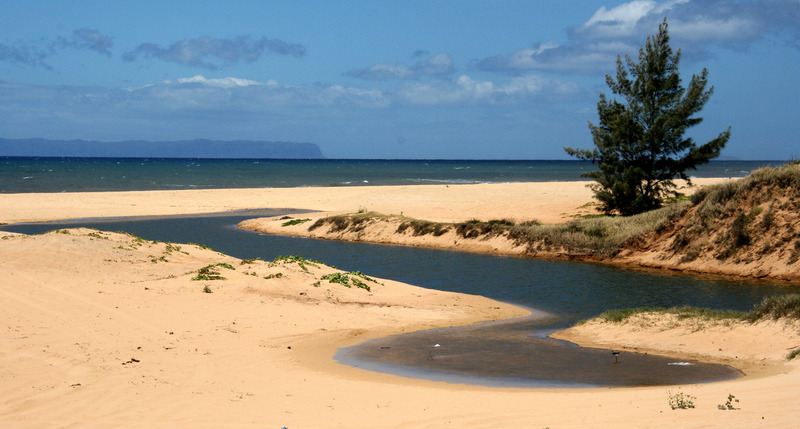 Apply for your PhD in our Division - contact any staff member - financial support available! Apply for your Eng or Msc in our Division - contact any staff member - financial support also available! We are pleased to invite everyone to seminar by Konrad Mnich, PhD student from our Division who will present and discuss new results of his PhD dissertation, entitled: "Construction of inerter models and non-linear vibration damper as elements of a dynamic vibration damper". His promoters are professor P. Perlikowski and dr M. Lazarek. The seminar will be held on Thursday, April 18, 2019 at 9.15 in room 2M221 (second floor in A22 building). The Division is organizing the Fourth International Conference on Recent Advances in Nonlinear Mechanics - go to the RANM 2019 webpage. This is the last volume in the old style. Soon we announce very new shape of our Journal in cooperation with Sciendo. Remember: Ministry of Science and Higher Education granted our journal - Mechanics and Mechanical Engneering with 12 points for the authors of printed articles. W dniu dzisiejszym do Katedry wpłynęła przykra wiadomość o śmierci doc. K. Grossmana, Kierownika Katedry w latach 80. Pogrzeb odbędzie się w środę 06.03.2019 r. o godz. 13:10 na cmentarzu Zarzew przy ulicy Lodowej. We are pleased to announce that our collegue dr hab. inż. Przemysław Perlikowski received the title of professor of technical sciences by the President of the Republic of Poland Andrzej Duda on February 12, 2019. Congratulations! Dr hab. Przemyslaw Perlikowski, prof. LUT and Member of Young Academy of the Polish Academy of Sciences invites to the joint seminar by IPPT - Division of Dynamics. The seminar will take place at Wednesday, December 12, 2018, from 11.00 hrs in the Faculty Meeting Room 102 in buidling A18. Program of the Seminar in News section. Dean and Faculty Council invite for Public defence of Doctoral Thesis by Michał Niełaczny, entitled "O3D Dynamic Model of the Uni-Cycle-Unicyclist System". Disscussion will take place at Friday, December 7, 2018, 12.00 hrs in Faculty Conference Room in the main Faculty Buidling A22A. Reviewers: Professor Marian Wiercigroch, Aberdeen, UK and Dr Krzysztof Kęcik, Lublin. Dean and Faculty Council invite for Public defence of Doctoral Thesis by Hugo Silva, entitled "Optimization of the Mechanical Behaviour of Hollow-box Beams". Disscussion will take place at Thursday, September 26, 2018, 11.00 hrs in Faculty Council Room in "Fabryka Inżynierów XXIw." (room 102, bldg. A18). Reviewers: Professor Ewa Magnucka-Blandzi, Poznan and Professor Jerzy Małachowski, Warsaw. PhD project seminar by Abdul Rab Asary, M.Sc. We are pleased to invite everyone to seminar by MSc Abdul Rab Asary from U.S Pakistan Center for Advanced studies in Energy (USPCAS-E), National University of Science & Technology, H-12 sector Islamabad, Pakistan who will present and discuss thesis and actual results of his PhD dissertation, entitled: "Solar Air Heater for Externally Heated Valve Engine". The seminar will be held on Wednesday, September 26, 2018 at 12.00 in room 2M221 (second floor in A22 building). Due to incoming change of the Publisher of our Journal Mechanics and Mechanical Engineering from the Technical University of Lodz to SCIENDO, the Editorial Board of MME temporarily suspends submission of proposed papers. Soon a new procedure for accepting manuscripts will be launched. All information will be posted here. Dean and Faculty Council invite for Public defence of Doctoral Thesis by Gokul PM, entitled "Synchronization of systems with hidden attractors". Disscussion will take place at Friday, June 22, 2018, 12.00 hrs in Faculty Council Room in "Fabryka Inżynierów XXIw." (room 102, bldg. A18). Reviewers: Dr Awadesh Prasad, University of Delhi and Professor Grzegorz Litak, Lublin Unversity of Technology. Przełożonemu i Drogiemu Koledze, profesorowi Tomaszowi Kapitaniakowi wyrazy głębokiego współczucia z powodu śmierci Ojca Andrzeja składają Koleżanki i Koledzy z Katedry Dynamiki Maszyn Politechniki Łódzkiej. We want to express our sincere and heartfelt condolences to Professor Tomasz Kapitaniak on the passing of His Father Andrzej – Colleagues from the Division of Dynamics, Lodz University of Technology. Uroczystości pogrzebowe rozpoczną się w piątek, 1.06.2018 r. o godz. 11:50 na Cmentarzu Katolickim św. Anny (Zarzew) – wejście od ulicy Lodowej. Dean and Faculty Council invite for Public defence of Doctoral Thesis by Marek Balcerzak, entitled "Optimization of control system parameters with use of the new Lyapunov exponents estimation method". Disscussion will take place at Wednesday, May 23, 2018, 17.00 hrs in Faculty Council Room in Fabryka Inżynierów XXI w. (room 102, bldg. A18). Reviewers: Prof. dr hab. inż. Andrzej Tylikowski and Prof. dr hab. inż. Jerzy Warmiński. Suman Saha: Role of Heterogeneity and Coupling in Synchronization of Dynamical Networks. The seminar will be held on Wednesday, May 23, 2018 at 14.00 in room 2M221 (second floor in A22B building). PhD seminar by Hugo Silva, M.Sc. We are pleased to invite everyone to seminar by Hugo Silva from University Minho, Braga, Portugal who will present and discuss the final results of his PhD dissertation, entitled: "Optimization of the mechanical behavior of hollow-box beams". The seminar will be held on Thursday, May 17, 2018 at 14.00 in room 2M221 (second floor in A22 building). We are pleased to invite you to attend the Seminar of our Guest Prof. Syamal Kumar Dana in room 2M221 (second floor in A22 building) on Friday 20.04.2018 at 11.00. Prof. Syamal Kumar Dana will give a talk on: "Sudden transitions to large amplitude oscillation: Three routes to extreme events". 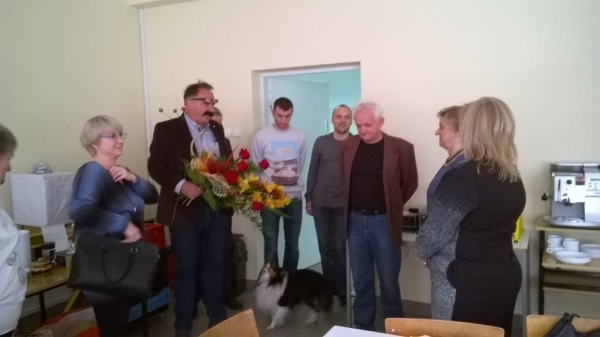 Last Tuesday at 13.00 a great opening of painting exhibition titled "Fuma - the dog" by Tomasz Kapitaniak in J. Kinderman Palace at Piotrkowska 137 street in Lodz took place. 27 portraits of his dog, Fuma were shown to the public. The exhibition is open till March 22, entry is free. Professor Kapitaniak underlined in his speech his love to dogs and art which were main reasons of so many nice paintings done. Additionally, he stated that dogs were mostly side subjects of paintings in Polish tradition, what pushed him to follow English and Scottish painters for who the dogs were the main subjects. Picture: Krystyna Barczak, the host and Tomasz Kapitaniak, the painter. Seminar on PhD project by Hugo Silva, M.Sc. We are pleased to invite everyone to seminar by Hugo Silva from University Minho, Braga, Portugal who will present and discuss the results of his PhD dissertation, entitled: "Optimization of the mechanical behavior of hollow-box beams". The seminar will be held on Thursday, January 25, 2018 at 14.15 in room 2M221 (second floor in A22 building). At December 8th, 2017 in Room 102 of Faculty of Mechanical Engineering, Lodz University of Technology, bldg. A18 will take place the 2nd joint seminar organized by our Division and IPPT PAN. See News section for program. Difficult to believe - our best ever secretary reached the time she decided to retire... Thank you very much for years granted to us and best wishes of happy and long life with the new generation at her family! 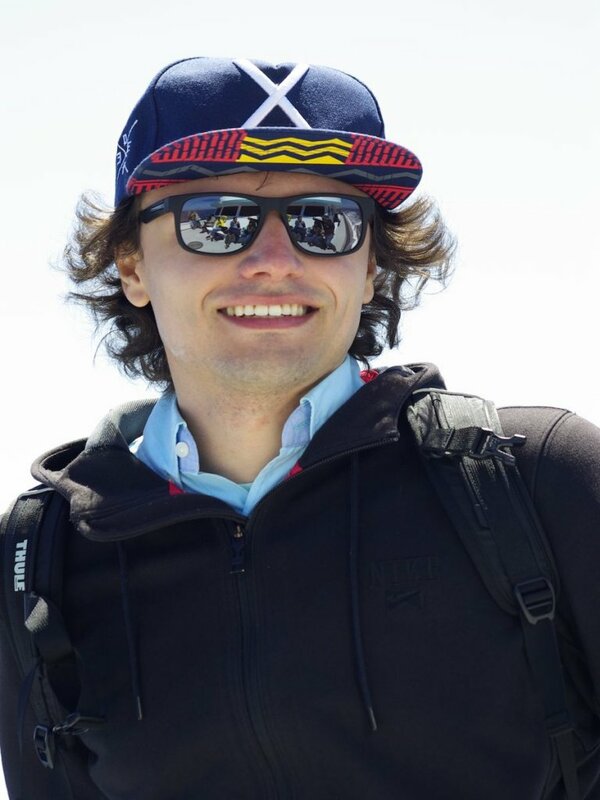 We are pleased to invite everyone to seminar by Danylo Pikunov who will present and discuss the results of his PhD dissertation, entitled: "Numerical and experimental analysis of the mutual interaction between friction force and response of the frictional oscillator". The seminar will be held on Thursday, November 21st 2017 at 14.15 in room 2M221 (second floor in A22 building). For more see Current News section below. Mr Mateusz Lazarek has successfully defended his PhD thesis. It is entitled: "Mitigation of vibrations of structures using a tuned mass damper with inerter and nonlinear dash-pot", written and discussed in English. We got the next candidate for promising scientific career. Congratulations! Mrs Patrycja Jaros and Mr Dawid Dudkowski have successfully defended their PhD theses at October 2. Patrycja work was entitled: Revealing different kinds of chimera states in the systems of coupled pendula and the Dawid one: Chimera states in coupled multistable oscillators. Both theses written and defended in English in brillant way finished their Authors' first step into scientific career. Congratulations! Wednesday, October 27th 2017 at 12.15 in room 2M221, Mr Marek Balcerzak presented his results and thesis of his PhD dissertation, entitled: "Optimization of control system parameters with use of the new Lyapunov exponents estimation method". For more see Current News section below. 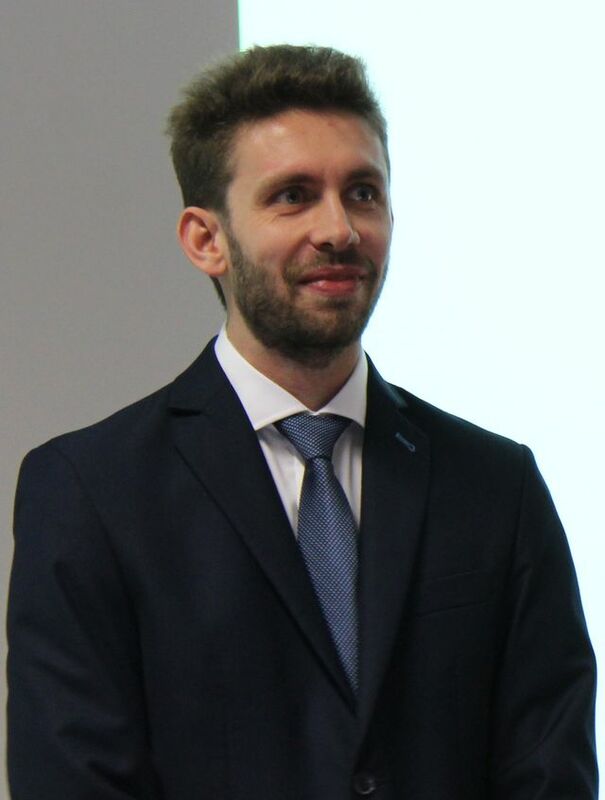 We are pleased to invite everyone to the public defence of PhD dissertation of Mateusz Lazarek entitled MITIGATION OF VIBRATIONS OF STRUCTURES USING A TUNED MASS DAMPER WITH INERTER AND NONLINEAR DASH-POT. The meeting will be held on Thursday, October 5th 2017 at 12.00 in room 102 (first floor in A18 building - Fabryka Inżynierów). For more see Current News section below. We are pleased to invite everyone to the public defence of PhD dissertation of Dawid Dudkowski entitled CHIMERA STATES IN COUPLED MULTISTABLE OSCILLATORS. The meeting will be held on Monday, October 2nd 2017 at 12.00 in room 102 (first floor in A18 building - Fabryka Inżynierów). For more see Current News section below. We are pleased to invite everyone to the public defence of PhD dissertation of Patrycja Jaros entitled REVEALING DIFFERENT KINDS OF CHIMERA STATES IN THE SYSTEMS OF COUPLED PENDULA. The meeting will be held on Monday, October 2nd 2017 at 10.00 in room 102 (first floor in A18 building - Fabryka Inżynierów). For more see Current News section below. Among the 25 laureates of the Prime Minister's awards for the best doctoral dissertations in 2016 is Dr Eng. Piotr Brzeski from our Division. His doctoral thesisis entitled "Transfer of energy in conjugated oscillators." It has been done under supervision of dr hab. 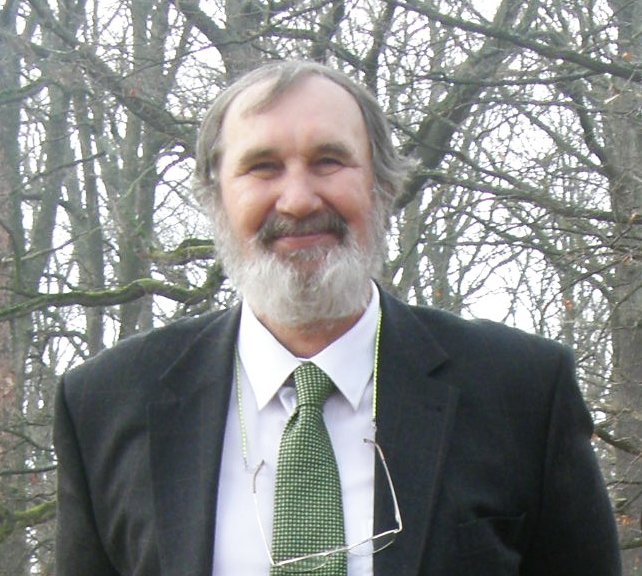 Przemysław Perlikowski, prof. TUL. The research deals with the optimization of dynamic vibration dampers, which are used, for example, to suppress the vibration of tall buildings. The research results show that simple modifications to the silencer design significantly improve their performance. For Dr. Brzeski, this is another great honor. A year ago, the young scientist became a grantee of the START program for the Polish Science Foundation. We are pleased to invite everyone to seminar by Mr Michał Niełaczny who will present and discuss the results of his PhD dissertation, entitled: "Three dimensional dynamic modelling of the unicycle-unicyclist system". The seminar will be held on Thursday, June 29th 2017 at 13.00 in room 2M221 (second floor in A22 building). For more see Current News section below. We are pleased to invite everyone to seminar by Mr Mateusz Lazarek who will present and discuss the results of his PhD dissertation, entitled: "Mitigation of vibrations of structures using a tuned mass damper with inerter and nonlinear dash-pot". The seminar will be held on Monday, June 22nd 2017 at 15.00 in room 2M221 (second floor in A22 building). For more see Current News section below. We are pleased to invite you to attend the Seminar of our guest Dr Simos Evangelou from Imperial Collage London in a seminar room of Dean's Office of Faculty of Mechanical Engineering on Thursday 22.06.2017 at 10.15 (Second floor in A22 building). Dr Simos Evangelou will give a talk on: "Mechatronic suspensions for road vehicles". For more see Current News section below. 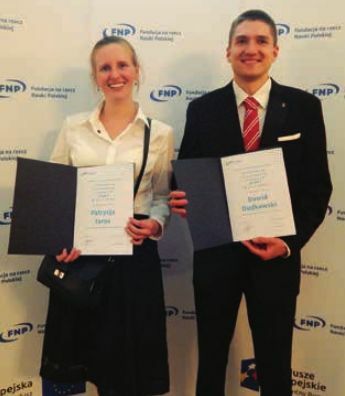 Among the 100 young researchers included in the scholarship program founded by Fundacja na Rzecz Nauki Polskiej are Patrycja Jaros and Dawid Dudkowski from our Division. The ceremony took place at Kings Castle in Warsaw. We are pleased to invite all to attend the Seminar of our guest Dr Chittaranjan Hens in a seminar room of Dean's Office of Faculty of Mechanical Engineering on Tuesday 30.05.2017 at 12.15 (Second floor in A22 building). Dr Chittaranjan Hens will give a talk on: "Spatio-temporal propagation of perturbation in complex networks". For more see Current News section below. We are pleased to invite you to attend the Seminar of our guest Mr Arindam Misra in a seminar room of Dean's Office of Faculty of Mechanical Engineering on Monday 29.05.2017 at 14.15 (Second floor in A22 building). Mr Arindam Misra will give a talk on: "Chimera states in a population of globally coupled oscillators". For more see Current News section below. We are pleased to invite everyone to seminar by Mrs Patrycja Jaros who will present and discuss the results of her PhD dissertation, entitled: "Revealing different kinds of chimera states in the systems of coupled pendula". The seminar will be held on Monday, May 22nd 2017 at 11 AM in the auditory 1M03 (A22 building). We are pleased to invite you to attend the Seminar of our Guest Prof. Syamal Kumar Dana in a seminar room of Dean's Office of Faculty of Mechanical Engineering on Tuesday 9.05.2017 at 12.15 (Second floor in A22 building). Prof. Syamal Kumar Dana will give a talk on: "Dragon-king-like extreme events in bursting neurons". All are welcome to scientific seminar taking place on April, 26th 2017 (Wednesday), at 11 AM in the auditory 2M221 of Division of Dynamics (A22 building). During the seminar, mgr Dawid Dudkowski will show and discuss the results of his PhD dissertation, entitled: Chimera states in coupled multistable oscillators. This presentation is concerned with the modeling and dynamical study of a self-excited chemo-fluidic oscillator recently developed at TU Dresden.